Just because pharmaceutically manufactured testosterone is classified as a controlled substance rather than a drug, it doesn’t make its medically correct dosing any less critical. It is just as important to a patient’s successful treatment for doctors to prescribe the most beneficial testosterone cypionate dosage in order to provide them with a safe and effective hormone replacement therapy experience. And as with all pharmaceutical produced medications and treatments, they have to consider all of the same physiological factors that their individual patients have when they are creating the ideal Low T therapy programs for each of them. According to the Institute of Medicine, which is a branch of the National Academy of Sciences, more than a million and a half potentially harmful prescription drug mistakes occur each year in the US. Some of these are patient errors, some are mistakes made by pharmacies and others are made by their medical providers; but the net result is that greater care needs to be taken by both patients and doctors in regard to the prescribing and using of prescription drug and controlled substances such as injectable testosterone cypionate. It would seem that one of the most effective means for patients to reduce the likelihood of being prescribed a medication or treatment incorrectly would be to seek medical treatment for a particular health problem, such as symptomatic testosterone deficiency, from a doctor who has specific knowledge and extensive experience in its successful treatment. At Nexel Medical, our doctors provide the benefit their knowledge and experience in male hormone replacement therapy to every adult patient receiving treatment from our online-based medical practice. We are very familiar with the correct clinical protocols for determining each patient’s optimal testosterone cypionate dosage, which our doctors always prescribe individually to respond to the patient’s unique requirements. However, the high incidence of drug mistakes also illustrates how critical it is for patients to be vigilant in making certain that follow their dosing instructions carefully and double-checking that the pharmacies filling their prescriptions have provided them with the correct medications. Testosterone replacement therapy (TRT) patients of the Nexel Medical doctors can be confident that they have been prescribed the correct dose of testosterone cypionate because we always follow the correct diagnostic and treatment protocols. And if they have any questions whatsoever about their prescribed dosages, we are always available to make sure that they are resolved. The reason why using the correct testosterone cypionate dosage is so critical is because it will accomplish the two primary goals of medically prescribed TRT: (1) To eliminate the patient’s debilitating Low T symptoms, and (2) To do so in a manner that causes no associated adverse effects. Using an inadequate dosage will probably not eliminate a person’s symptoms, and using an excessive dosage will probably lead to the development of unwanted adverse effects. Because testosterone cypionate has been in use by the US medical community for decades as treatment for Low T, hormone replacement specialists are familiar with its consistent record for achieving the both of the medical goals of TRT. As a slowest-release (and thus longest lasting) version of injectable bio-identical testosterone, the cypionate formulation of this treatment requires the fewest injections. Its chemical half-life is longer but very similar to the enanthate version, which is prescribed more frequently outside of the US than it is by doctors in the US. Experienced TRT medical providers such as Nexel Medical have had decades to refine and optimize their knowledge of the best testosterone cypionate dosage, one that is based on a patient’s specific symptoms, blood levels, prior health history, and current physical condition. It is an art as well as a science because our doctors understand that each patient is going to respond to treatment in their own way, and within their own timeframe. This is why interpreting the results of a patient’s periodic testosterone blood levels testing and determining when a dosage adjustment would be beneficial to them requires an almost-intuitive knowledge of the potential for therapeutic progress. As you can see, there is more going on than meets the eye when to comes to determining the appropriate dosage at any given point during treatment for a patient who is using testosterone cypionate injections. Much of it occurs during the doctor’s ongoing medical supervision of a patient’s TRT program; and because this form of therapy is typically an ongoing one for adults with Low T, and honest and trusting relationship with your medical provider is the best ally for a successful outcome that you can have. Does the thought of using a form of medical treatment for the remainder of your active adulthood give you pause to reconsider using TRT? Do you still have some unanswered questions about the possible effects of using a significant testosterone cypionate dosage for the rest of your foreseeable future? Perhaps there is also more than meets the eye in understanding how the testosterone replacement therapy cycle actually works – and in understanding how thousands of US men have worked it into their lifestyles. 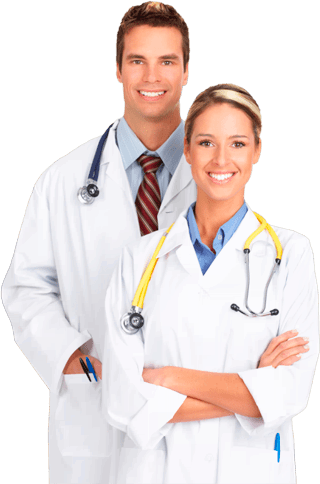 Your Nexel Medical doctor is going to prescribe the dosage for you that is intended to effectively restore your male hormone levels to within the range that is the most beneficial to your personal health and vitality. On average, doing this requires a 6-month treatment cycle; but out doctors know that no patient is an average one. So they understand that, based on an individual patient’s response to their prescribed treatment cycle, treatment will either progress as anticipated without any glitches; or it may need to be modified. If it appears that your testosterone cypionate dosage should be adjusted, then our doctors and clinical advisors will be right on top of that – and none of this will take place without you being kept completely in the communications loop. Upon reaching your optimal testosterone replacement goal, as indicated by your blood test results and symptoms relief, your cycle will come to its completion and is followed by a period of no self-administered treatments. Your own physiology will ultimately determine when it is time for you to undertake your next treatment cycle, because your supplemental testosterone supply will progressively decline over time and your symptoms will eventually reappear. But the correct timing of your cycles of treatment can minimize that eventuality; but not allowing the testosterone levels of our patients to drop back into the clinically deficient range between cycles, our doctors provide them with their best opportunity for experiencing extended relief from their Low T symptoms. You can now see why we say that successful TRT is the result of more than just a medical science. The art of understanding a person’s unique physiology, along with their personal goals for treatment, is not something that all doctors have; but the TRT doctors at Nexel Medical definitely have this particular art down to a science.